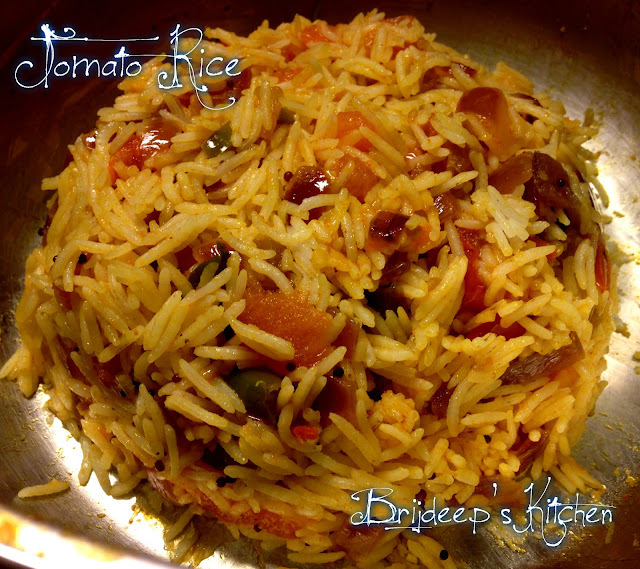 Tomato Rice is a very simple and quick recipe which can be made within 30 minutes for a quick meal or when you are feeling lazy. I sometimes make this after I come back tired from after a holiday or a trip and I'm in no mood to cook. 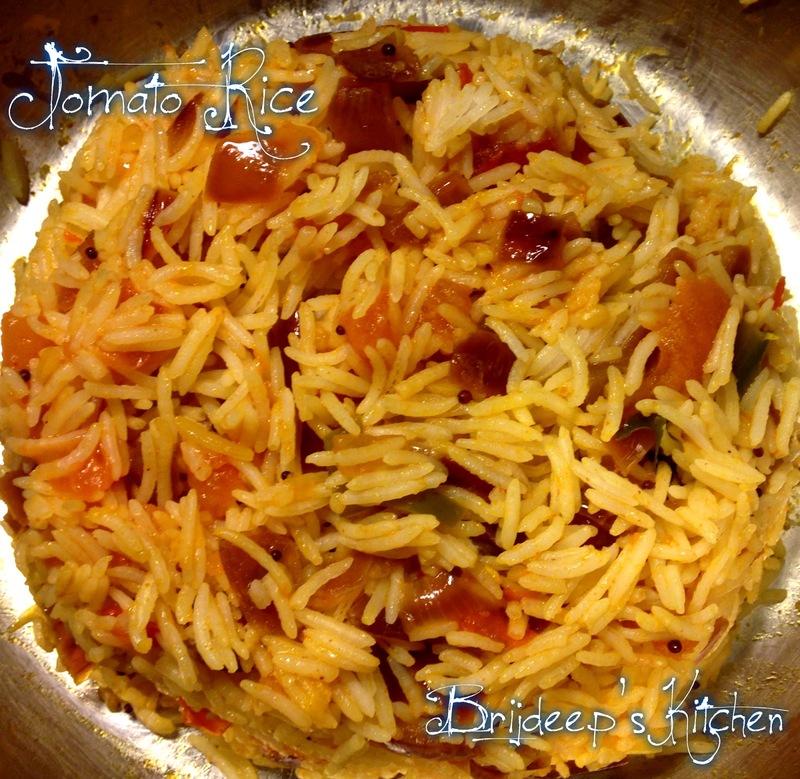 This recipe can be made with just the basic ingredients and tastes awesome.. Boil the rice as you would normally do. To read about how I make the boiled rice, read here: How to make the perfect boiled rice. Heat oil and add mustard seeds and urad dal. Add asafoetida and turmeric powder after 10 seconds. Add onions, green chilli and curry leaves. Fry till the onions are transparent. Add the tomatoes and the salt. Let cook until the tomatoes are soft and mushy. Add red chilli powder, sambhar masala and sugar and mix well. Let cook for another 2 minutes. Add 1/2 cup water and let it boil. After the masala is reduced to half, add the boiled rice. Mix well, cook for another minute and turn off the heat. Serve hot with raita and pickle. Loved this recipe? Please leave a comment/feedback in the comments section below and don't forget to join my Facebook Page for a regular dose of delicious recipes.